Have y'all seen Go Local Box? It's a subscription service that brings the best locally-produced products from their Louisville manufacturers straight to your door. Founder Jay Vasse works with local vendors to curate a themed monthly box, which can be yours for only $35 per month. There's no strings -- you can cancel or skip a box at any time -- and the items are pretty fantastic. Go Local Box sent me the April (Derby-themed) box, and I just loved it! 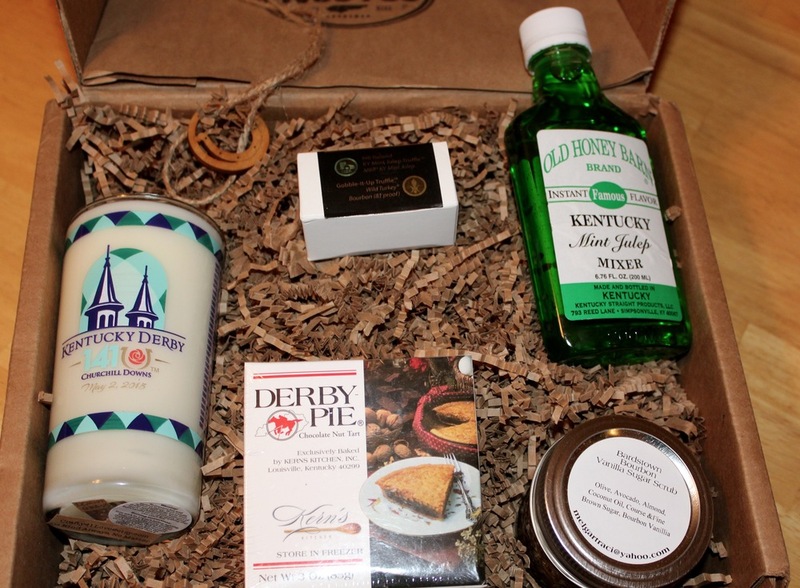 So many wonderful items; it was like a mini-Derby Party in a box! That's a pretty fabulous assortment of products. It would make a fantastic present for your favorite homesick Kentuckian, or would be a great way to help yourself to the latest locally-made products. The customer service is pretty great, too. When my box arrived with a broken candle, Jay dropped off a new one at my front door that evening. I can't guarantee he'll deliver that same level of service for everybody, but he assures me that if there's anything amiss with your shipment, he'll make it right! 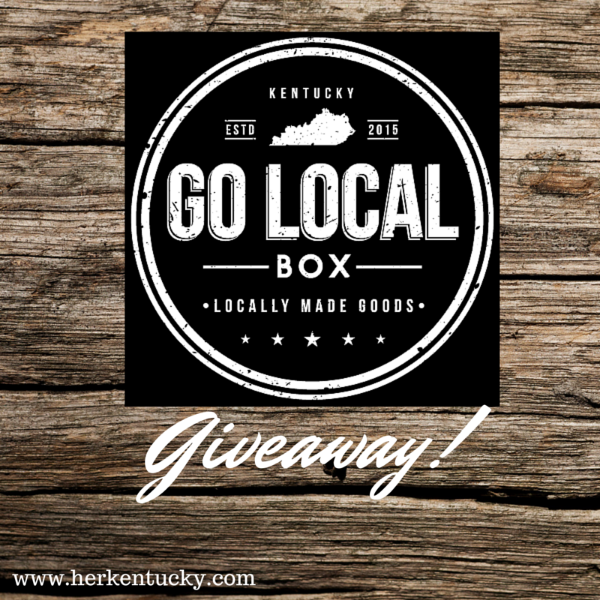 We've teamed up with Go Local Box to provide one lucky HerKentucky reader with a three-month gift subscription. Just enter using the Rafflecopter widget below! Good luck, and have fun shopping locally!